Chatting Over Chocolate: BOOK GIVEAWAY!!! 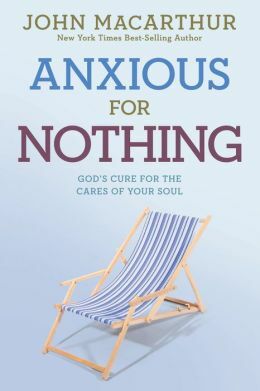 I have been deeply encouraged and richly blessed by the book Anxious for Nothing by John MacArthur. I highly recommend it, and would like to put it into the hands of one of my sweet readers! As Christians, we're certainly not immune to the troubles of life. We aren't promised an easy road, and when troubles do come, we're urged to rise above them and experience "peace that passes all understanding." But how, in day-to-day life, does that really happen? While numerous books have been written on overcoming anxiety, Anxious for Nothing moves us beyond pop psychology's temporary cures by returning us to our one true source of comfort and victory—Scripture. John MacArthur reminds us that God is completely sovereign, understands our struggles, and has equipped us with resources to not only face, but also to triumph completely over our anxieties. If you struggle with anxiety and worry, or simply want to be encouraged to rely more fully on God I welcome you to enter my first giveaway here at Chatting Over Chocolate! This giveaway is open to United States residents. A winner will be chosen at random on 6/20/15 and will be contacted via email. The winner must respond within 48 hours or a new winner will be chosen. This is not a sponsored giveaway, nor was I compensated for this post or giveaway. All opinions here are my own. 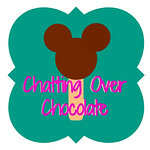 Chatting Over Chocolate to enter the giveaway. Wishing you a beautiful day, friend! Good Morning and thank you for this awesome book giveaway. I am in a season right now feeling very anxious, worried and just not at peace and it's really weighing heavy on me and my everyday life. I know God has a plan, a good plan I just need help in through the tough times. Thank you again. He is an all time favorite author of mine. This looks like a great read, especially if you know his previous books. Anxiety, that nasty word! I'm in. We are told not to be anxious about anything, yet anxiety is a struggle for many of us. Why is it so hard to give ALL our cares over to God? Instead we hold on to those things that get to us, and we let them eat at us. I love that you have found this book and you're willing to share with your readers! You are a thoughtful woman, my friend! Such a great giveaway! I definitely need to read this :) My heart needs a lesson in dealing with anxiety! Thank you for hosting, Brenda! I struggle with anxiety and could benefit from this book! I know that God is with me always and I am to be anxious over nothing, but sometimes my anxiety gets to me! What a sweet, thoughtful giveaway!